We’re offering a choice of seven Rocky Mountaineer round trip packages. The Canadian Rockies Escape is our shortest round trip package features 4 days on the Rocky Mountaineer. The Getaway package features four days on the train and four nights in the Rockies. The 9 night Rockies and Vancouver Island Circle is our only circle package beginning and ending in Calgary. 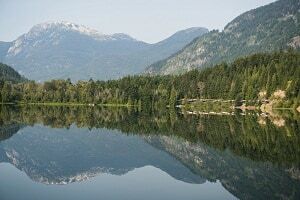 Two others, Grand Rail Circle and Golden Circle, include 4.5 days on the Rocky Mountaineer, including a half day on the Rocky Mountaineer Whistler Train. We can also provide the best prices for all round trip package and, at no additional cost, we can create a custom round trip package just for you. This package begins with an overnight stay in Vancouver on Sundays and ends the following Saturday morning when you check out of your Vancouver hotel. It’s the perfect trip if you have one week to travel and want to focus on the train more than spending time in the Rockies. Available each Sunday from April 14 until October 6, 2019. This package begins with an overnight stay in Vancouver on Mondays or Thursdays from April 15 until October 7, 2019. 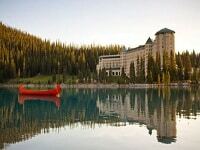 This package begins with a transfer from Calgary airport to Lake Louise and an overnight stay at Lake Louise on Tuesdays and Fridays from April 19 until October 4, 2019. The luxurious Golden Circle is an ideal longer train trip through the Canadian Rockies. It includes 4.5 days on the Rocky Mountaineer, each day on a different route. Combine the train with 6 nights in the Canadian Rockies, and tours from one destination to the next and you have the perfectly balanced train package. Available each Friday from April 26 until October 4, 2019. Prices are lower April, May, late September and October. This circuit of the Canadian Rockies is a perfect balance between journey and destination. Includes 4.5 days on the Rocky Mountaineer, each day on a different route, and 7 nights in the Canadian Rockies two nights in Jasper, two nights at the Chateau Lake Louise and three nights in Banff National Park. Available each Sunday from April 21 to September 29, 2019. Prices are lower in April, May and late September.